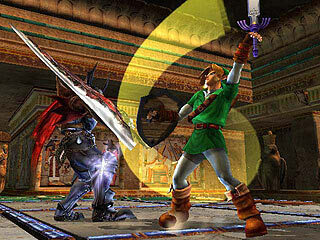 By the power of Nintendo GameCube ! 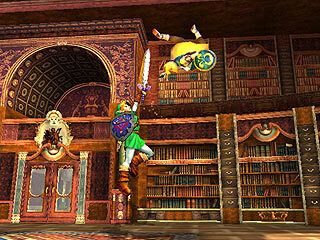 Extra: Link character exclusively on GameCube. 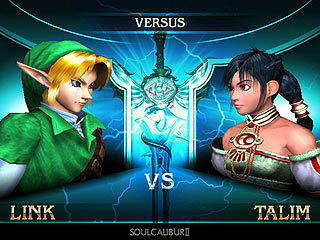 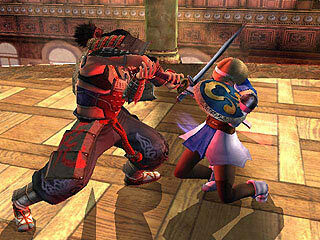 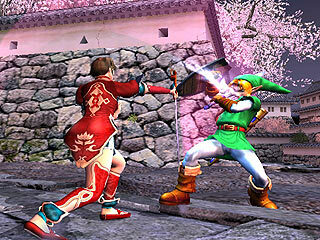 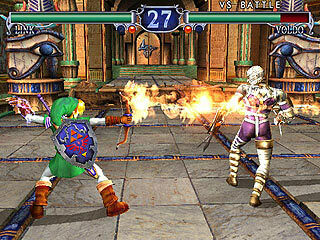 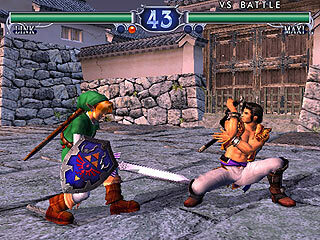 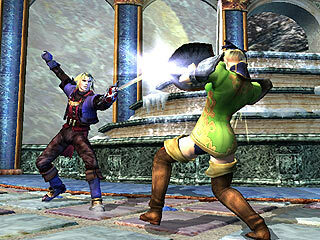 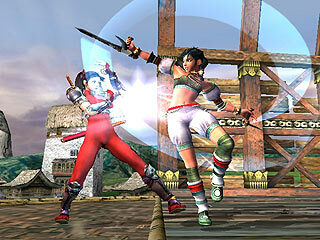 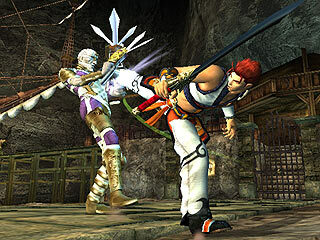 "A new stage in history begins with the highly anticipated return of the Soul Calibur franchise. 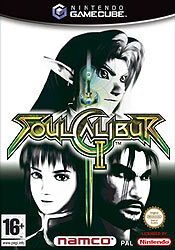 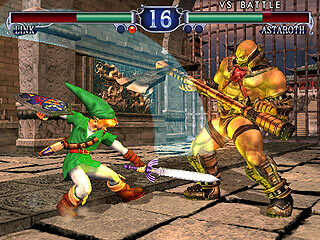 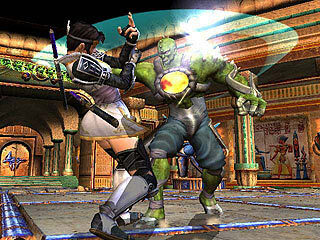 Soul Calibur 2 is one of the greatest 3-D weapons-based fighting games, providing non-stop action, excitement and surprises as players go one-on-one against their favourite challengers." 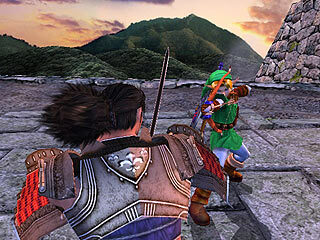 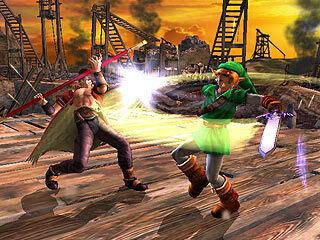 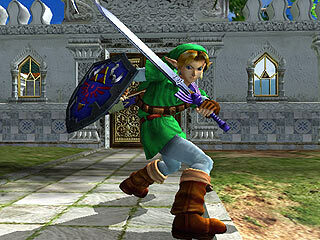 "- As an exclusive for Nintendo GameCube, the character Link from the famous Legend of Zelda series is a playable character in Soul Calibur 2, wielding his redoubtable Master Sword. 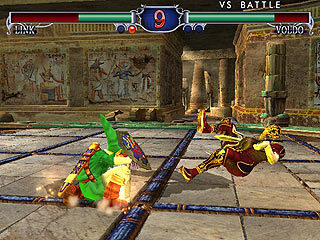 - 13 historic fighters plus all new combatants including Necrid, specially designed by Todd McFarlane Productions, Inc.
- Collect 200 different weapons in the all-new mission-complete Weapon Master mode"